Herold Klein was a member of The Philadelphia Orchestra from 1971 until 2011. He began studying the violin at the age of four with private teachers in Detroit, and was playing with community orchestras, including the South Oakland Symphony, by the time he was nine. 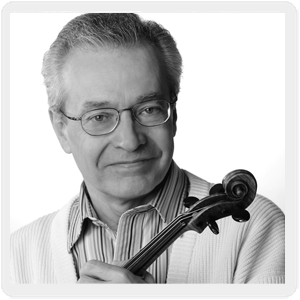 He has studied with Mischa Mischakoff, Ivan Galamian, Josef Gingold and Rafael Druian.Mr. Klein entered Wayne State University in 1962, and while there joined the Indianapolis Symphony and later the Detroit Symphony Orchestra. Mr. Klein has been a member of the United States Army Band Strolling Strings, and since 1987 served as concertmaster of the Greater Trenton Symphony Orchestra. He is an avid bicyclist, participating in long distance rides raising awareness and funds for Multiple Sclerosis. Mr. Klein retired from the orchestra in 2011.